Being one of the top tourist destinations in Texas, Moody Gardens has a reputation for creating lifetime experiences, but also making a difference in the Galveston community. Do you know someone who has been diagnosed with Alzheimer’s disease? The Moody Gardens Education Department has partnered with the Alzheimer’s Association to begin a new event, a Seven-part series called, “Growing Together” to assist those living in the early stages of Alzheimer’s remain mentally and socially active. Moody Gardens is hosting the fourth of its seven-part “Growing Together,” series on Tuesday, February 7 from 10:00 a.m. to 11:30 a.m. at the Moody Gardens Rainforest Pyramid. Activities will include a day in the life of a Rainforest Pyramid biologist! Participants will create toys as part of our animal enrichment program and present a nice gift to our beautiful macaws to add something special to their environment to assist with their learning! Programs will be held on the first Tuesday of every month ending on April 4, 2017 to coincide with Senior Tuesdays at Moody Gardens. 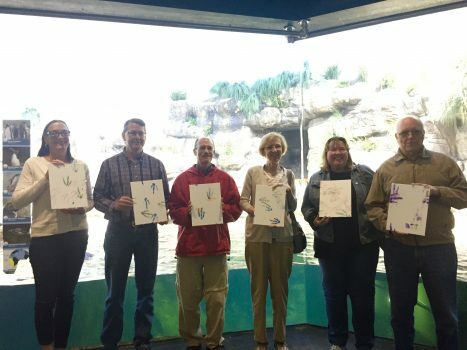 Senior Tuesdays offers guests 65 and older $5 admission per attraction including the Rainforest Pyramid, Aquarium Pyramid, Discovery Pyramid, Colonel Paddlewheel Boat and movies at both the 3D and 4D Theaters. For more information on how to register and the series’ upcoming events, please contact volunteers@moodygardens.org or call 409-683-4108 as we would love to have you become a part of this wonderful series! Previous Previous post: Moody Gardens Golf Course’s All-Inclusive Package is Hard to Beat!